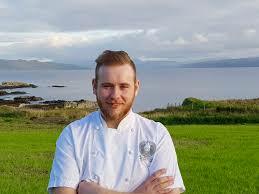 We are pleased to announce that Mingary Castle Head Chef, Darren Ross, will be one of the judges at the Regional Final of the Springboard Future Chef competition held in Inverness on 14th February. Darren will be one of 4 chef panel (alongside Michelin starred Michael Smith) to judge entries to pick the North of Scotland representative, who will go forward to the UK final. Organised, hosted and judged by schools. Participants cook a one course meal. Suggested Budget: Up to £5 (This is a guide & should not prohibit involvement. Heats can also be run as part of normal classroom activity). This is a flexible stage of the competition and the heats can be set up to fit within a normal teaching timetable, assessment, after school club or other school timetabled session. Up to 2 winners progress to stage 2 – regional managers can advise. For examples of previous school heats take a look at Bo’ness Academy’s slideshow on YouTube. Organised by Springboard, hosted by a local school or college, judged by industry chefs. Participants cook a two course meal for two people (hot main course and a hot or cold dessert). Participants marked against specified judging criteria. 1 winner progresses to stage 3 and receives an industry mentor and cookbook. Organised by Springboard, hosted by a regional college, and judged by industry chefs. 1 winner progresses to stage 4. Organised by Springboard, hosted by Westminster Kingsway College, and judged by industry and celebrity chefs. Finalists cook three portions each of a two course meal (hot main course and a hot or cold dessert). 1 winner is announced from 12 finalists, along with the 2nd and 3rd placed runners up.